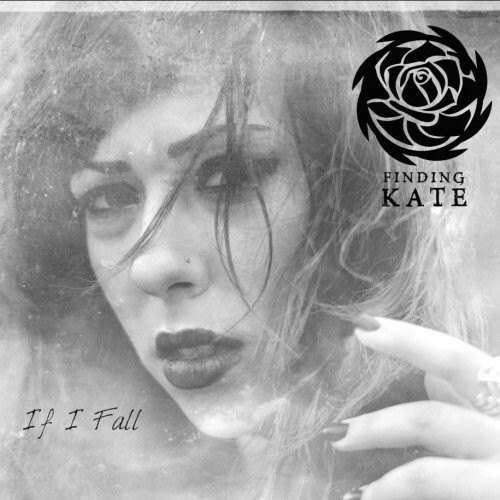 Finding Kate is the pseudonym and brainchild of Kate Pavli, a UK-based singer/song-writer of Greco/Australian descent with a childhood background in theatre. 'If I Fall' is her debut album following on from the 'Inside Out' EP. If the album's title doesn't give you a hint, then a few of the featured songs with titles like 'Drowning', 'White Lies', 'Get Over You', 'I'll Save You', 'It's Over' and 'Gone' reinforce the fact that this isn't going to be an album of happy, saccharine-coated Pop. Very much influenced by Contemporary/Alternative Rock, it's an emotional, angst-driven, brooding and unquestionably dark journey though one that is worth venturing on as the dark atmosphere is contrasted by some anthemic vocals. Avoiding a brash, over-produced sound, the instrumentation is kept raw, sometimes stark, enhancing the weighty subject matter, though the subtle string arrangements that trickle through certainly add to the atmosphere. If you imagine a stripped-back Evanescence, Paramore, The Pretty Reckless, Avril Lavigne or even Kelly Clarkson and Halestorm at their darkest (the latter's 'Bitter Taste Of Poison' a strong reference point), then you will get a strong idea of what Finding Kate have to offer. It's very singularly paced throughout, rarely rising above a canter, with extra emphasis on slower, ballad-orientated songs ensuring numerous listens are definitely required before each track's individuality truly shines through. However, anyone who's appreciative of Female-Fronted Contemporary Hard Rock would definitely want to give this a chance.